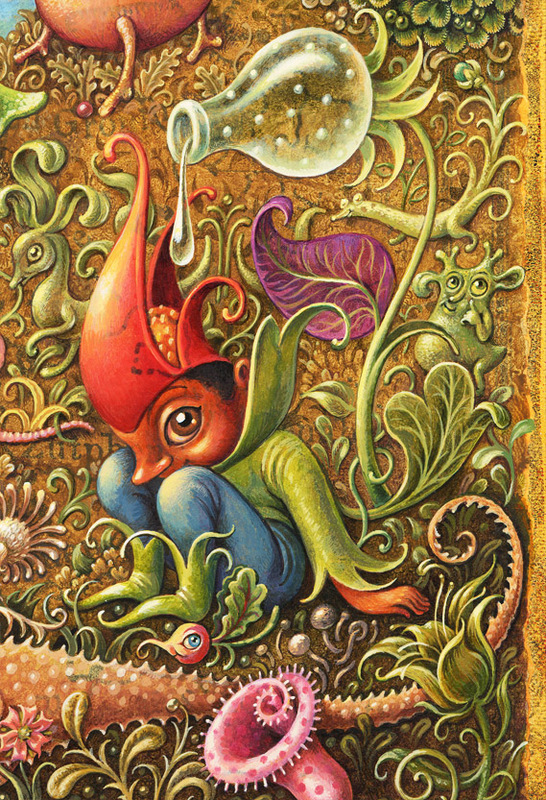 Cartozia | Leah Palmer Preiss ~ Curious Art: (Detail of larger painting) ~3" x 4"
BottleBlossom (Detail of larger painting) ~3" x 4"
Here’s another snippet from Dreaming– along with a bit of wonderful news: Cartozia’s Kickstarter was a great success– even exceeded the goal! I’m so glad to know that this inventive comic will be able to wander onward in its wonderfully curious way– many thanks to all of you who helped spread the word! 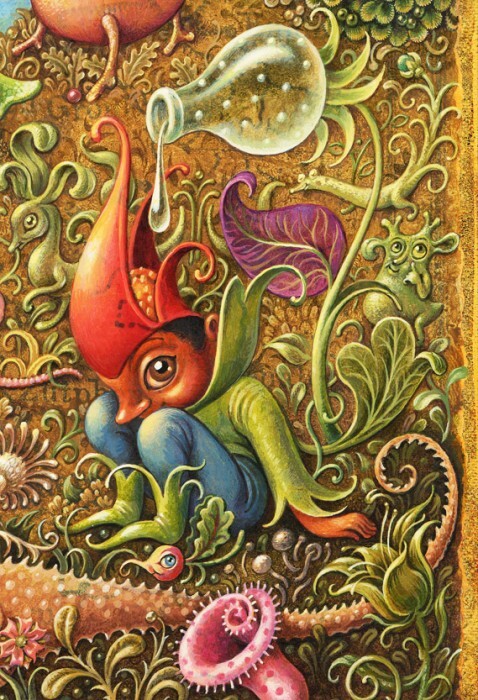 This entry was posted in Paintings and tagged Acrylic, Botany, Cartozia, Comics, Dreaming, Landscape, News, Painting on 25September 2013 by Leah. These lovely smiling people are the brilliant creators behind Cartozia Tales, holding their copies of Issue #1! 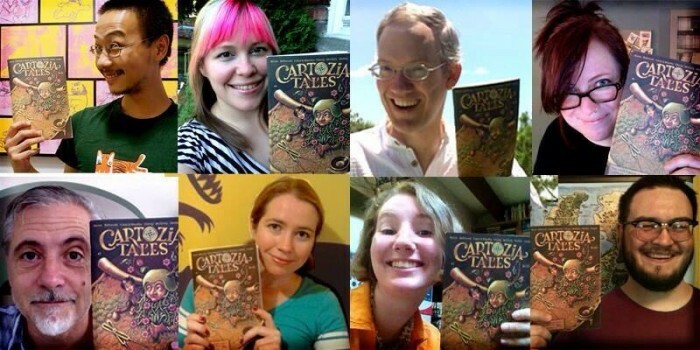 * You can meet all of them & hear their voices in the Cartozia Kickstarter Video, & learn more about the comic on the Cartozia Website. *Yes, I did the cover! You can see a close-up detail here. Photos compiled by Jen Vaughn. This entry was posted in News and tagged Cartozia, Comics, News on 15August 2013 by Leah. I’m excited to be a part of this inventive new comic! 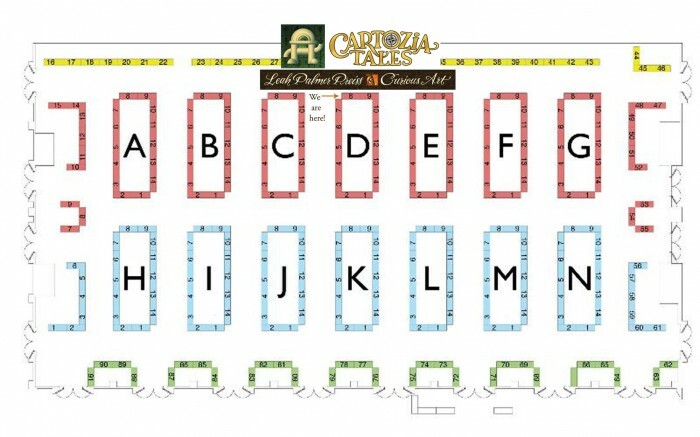 Conceived by Isaac Cates, it is co-created by a team of writers and artists who take turns telling fantastic stories about various sectors of an imaginary world, Cartozia. It’s really a fascinating system– read more about it here. The first issue should be coming out in August, & can be pre-ordered now. 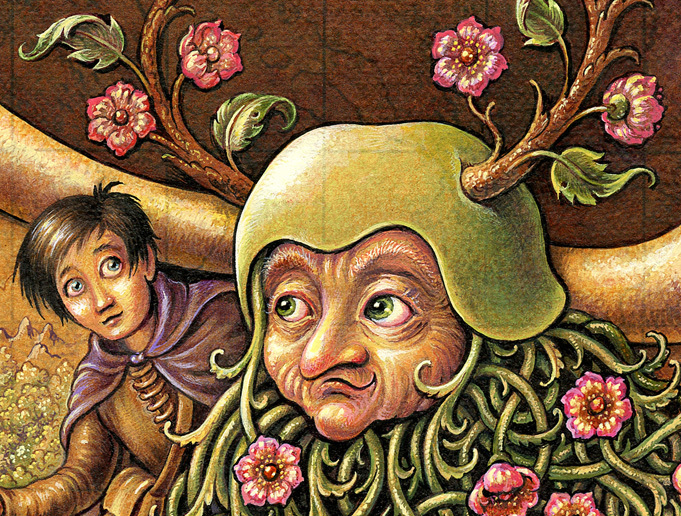 This entry was posted in Illustration, News and tagged Cartozia, Comics, News on 24July 2013 by Leah.